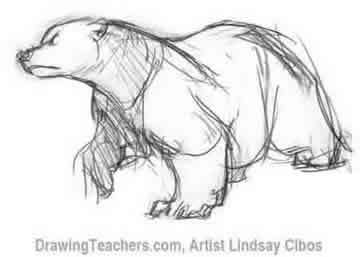 How to Draw a Polar Bear - Polar bears are large, muscular animals with short legs and powerful forelimbs. 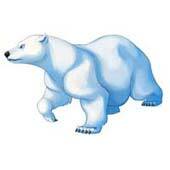 As King of the Arctic, the polar bear's body is streamlined for navigating ice, water, and land. Their elongated torso and tapered head and neck are perfect for long distance swimming, while large feet give them better traction on the ice. Thick fur protects them from the cold. Try to bring out these traits in your drawing. The key to drawing anything is to break it down into basic shapes. 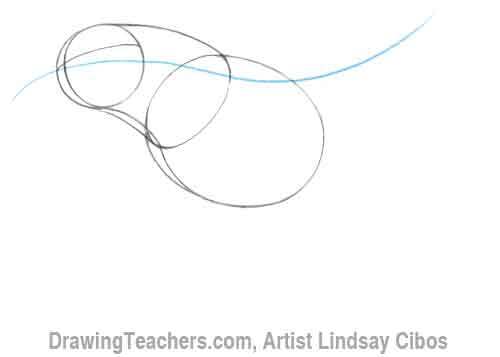 If you can draw circles and ovals, you can draw a polar bear. Don't be discouraged if your first attempt doesn't turn out exactly like the picture. Practice makes perfect, so let's begin! 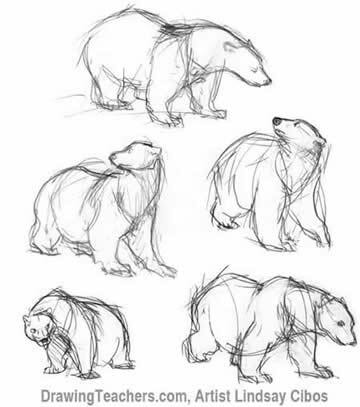 Now let's get started with the "How to Draw a Cartoon Polar Bear"
Start by sketching some thumbnail poses for your polar bear. Thumbnails are small drawings, no larger than a few inches, useful for working out ideas. Don't worry about details yet. Use this time to get to know your character. Let's do some more. Select your favorite pose. This is the roadmap for your drawing. I picked the one below for its strength and intensity. 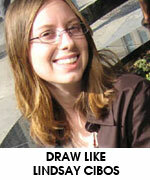 Draw a curving line of action that best captures the motion of your rough pose. 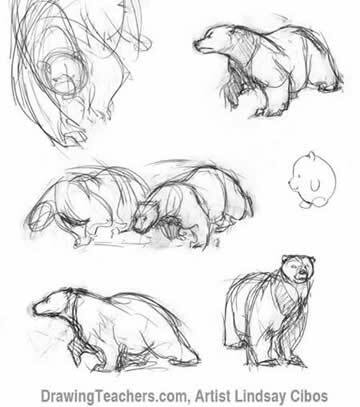 Sketching lightly, begin building up the bear with basic shapes: a sphere for the head, an egg for his chest. Connect them with a long tube for his neck. "How to Draw a Cartoon Polar Bear!" Lindsay's newest project is an online graphic novel called The Last of the Polar Bears, about a mother polar bear and her two cubs. You can read it online at www.lastpolarbears.com.